Microscopic decibels of bed tones. Isn’t that Upper Room glossolalia? For God, the answer to all things. That seep right out of God’s showroom. But who will buy reality’s wool? For God, Not the answer to all things. 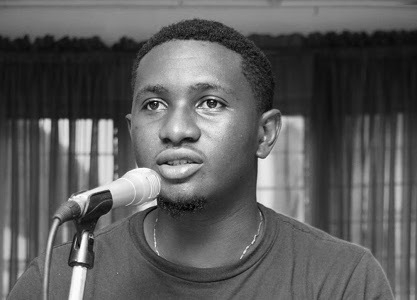 Dami Ajayi was born in 1986 in Nigeria and has been penning down poems since he was 11. His debut collection of poems, Clinical Blues, which has notoriously remained in manuscript form, was shortlisted for the 2012 Melita Hume Prize. His poems have appeared in several reputable journals in Africa, Europe and America. Dami is also a medical doctor.